Refugees of We Are Here come from Somalia, Sudan, Ethiopia, Eritrea, Sudan, Libya, West-African countries and several other countries. Through the years refugees of We Are Here keep protesting against deportation and denial of human rights. 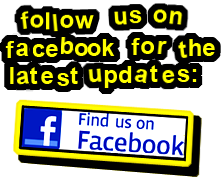 Sometimes concrete examples of usafe countries are choosen. Here some examples from over the years. This is where the refugees of We Are Here come from. 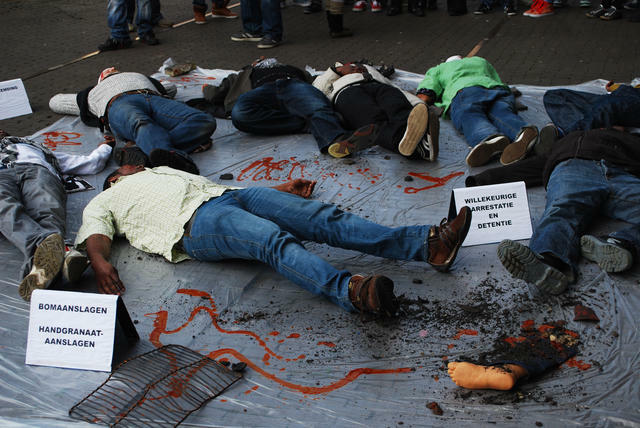 Jan 12, 2013: a die-in in front of the parliament to show what happens in Somalia. Some time after a deported Somali is seriously injured in a bombing. Amnesty International writes a report to condemn deportations to Somalia, because of the bombings, murders, rapes and torture that takes place. 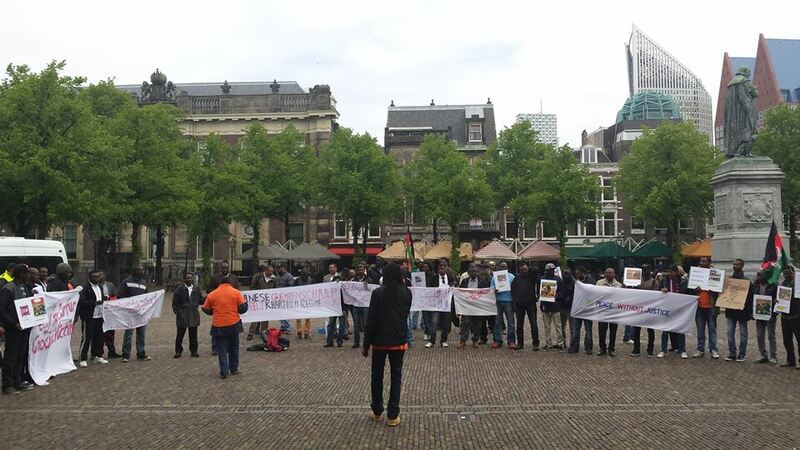 On De 16, 2014 the group is back at the parliament with a demonstration. 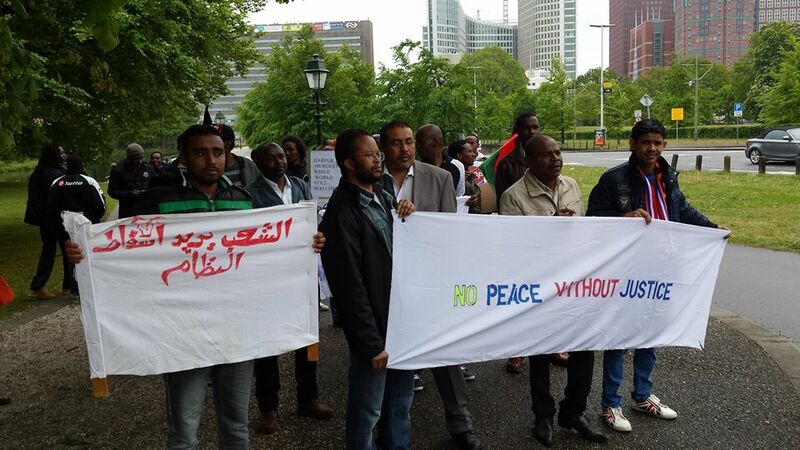 Despite the serious threath of Al Shabab, refugees ares till denied status in The Netherlands. 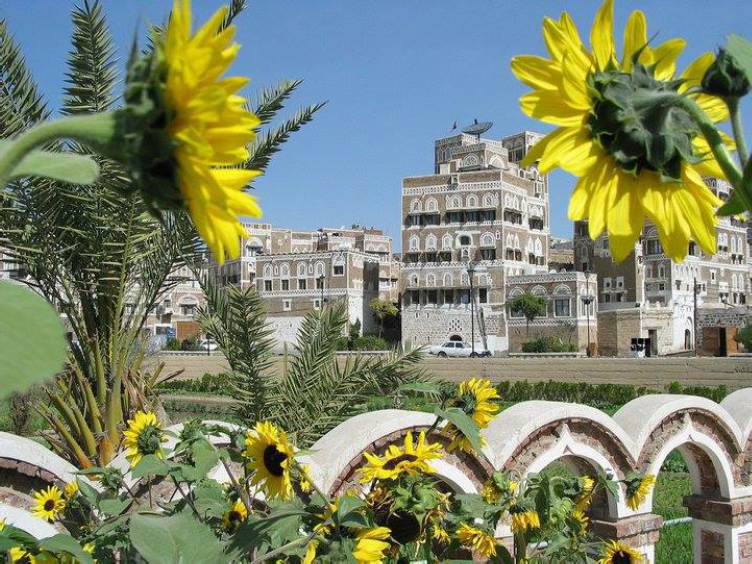 Another totally unsafe country, destroyed and controlled by militias. 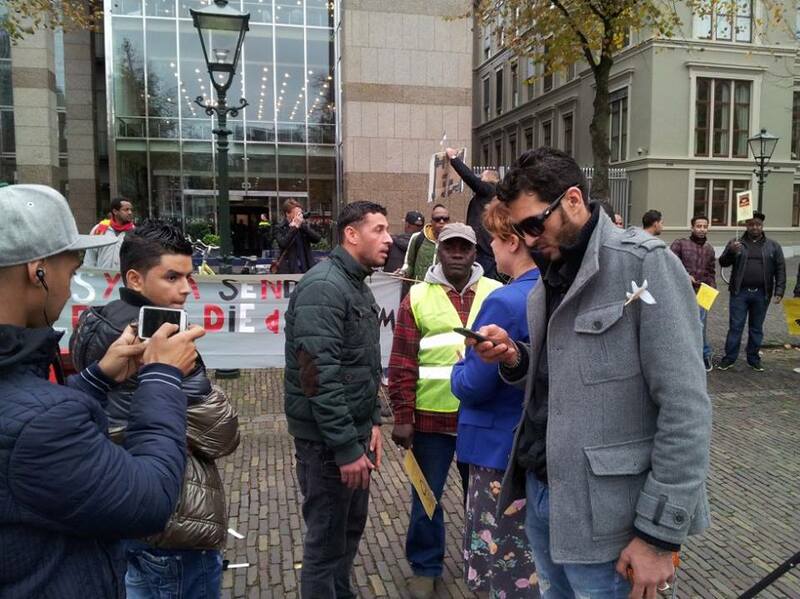 On October 28, 2014 We Are Here protests in Den Haag against deportations of Libians and the fact that they don’t get a status. Stories of deported people that died in Libya were told. 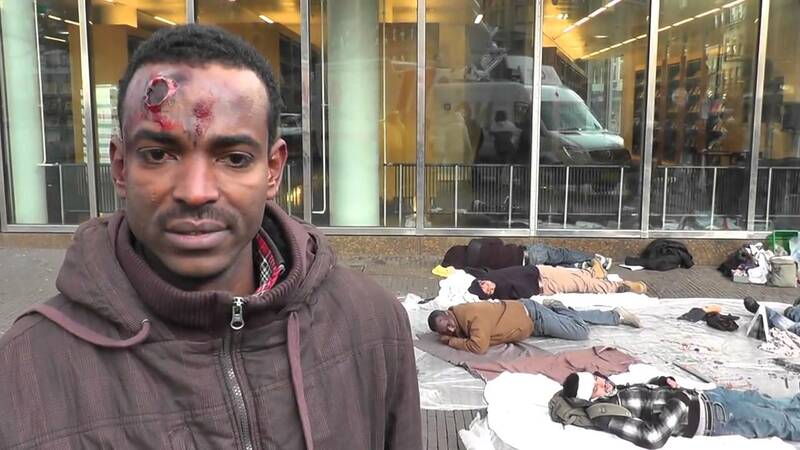 One of the We Are Here refugees explained his situation to Nieuwsuur (starting 22:56). The 16 years old Ahmed who was part of We Are Here for a while shared his story on FB. 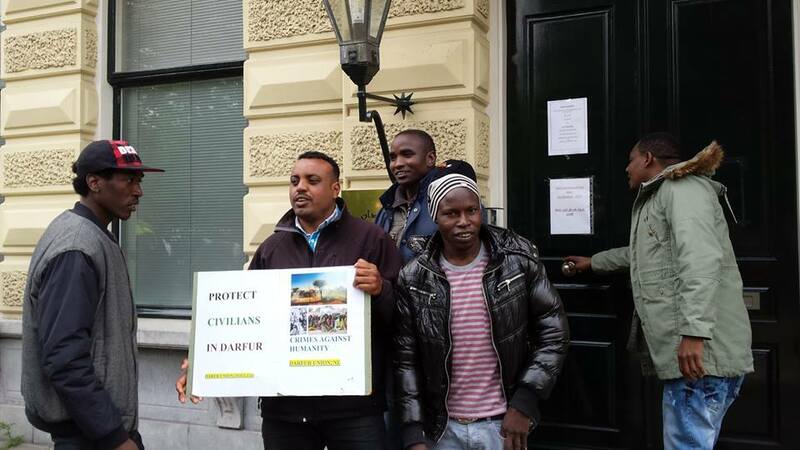 In november the brother of one of the WAH refugees who returned to Libya is kidnapped and treathened. 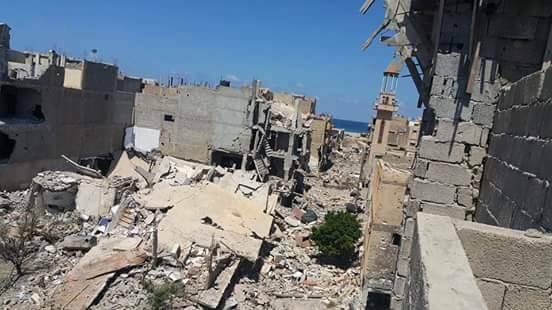 Human right organisations write about the unsafety of Libya for return. 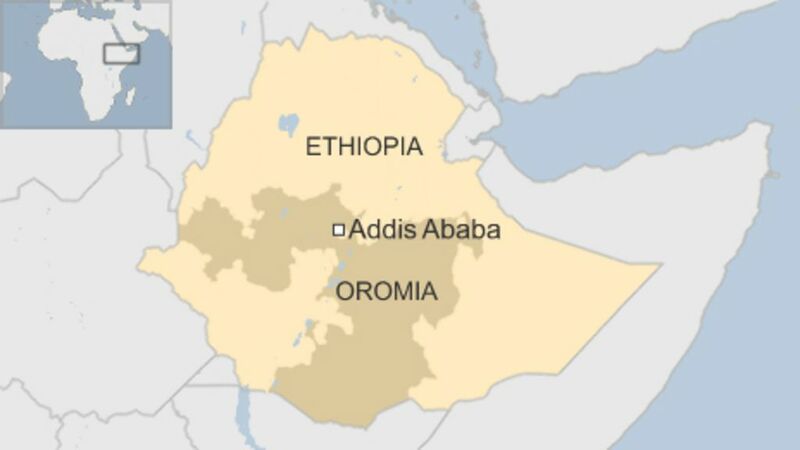 Quite some part of We Are Here consists of Oromo. 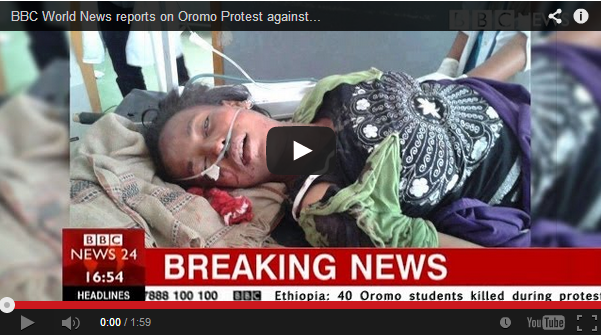 Oromo form the majority in Ethiopia, but they feel not represented by the government. Many experienced imprisonment, tortule, killing of family based on (assumed) connection with the Oromo Libaration Front. 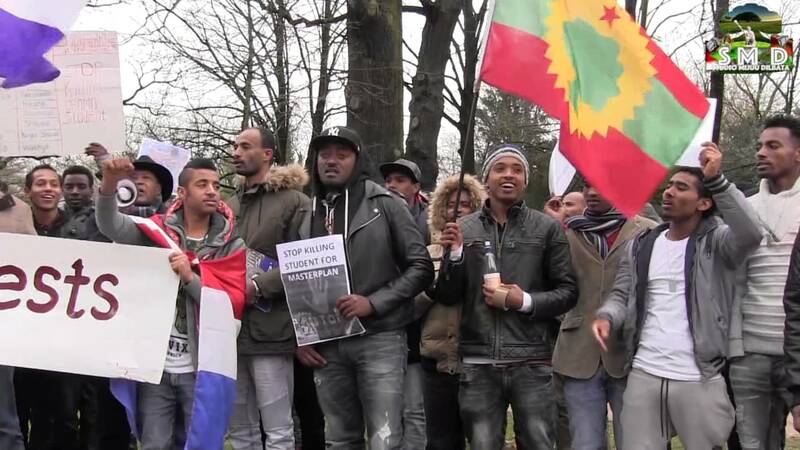 The refugees try to inform the Dutch people about the existence of Oromo and the oppression taking place. They organised cultural parties, demonstrations (for example when several Oromo students were killed) and formed an Oromo football team. One of the refugees of We Are Here is put in detention and violently deported. On arrival he is imprisoned and tortured. 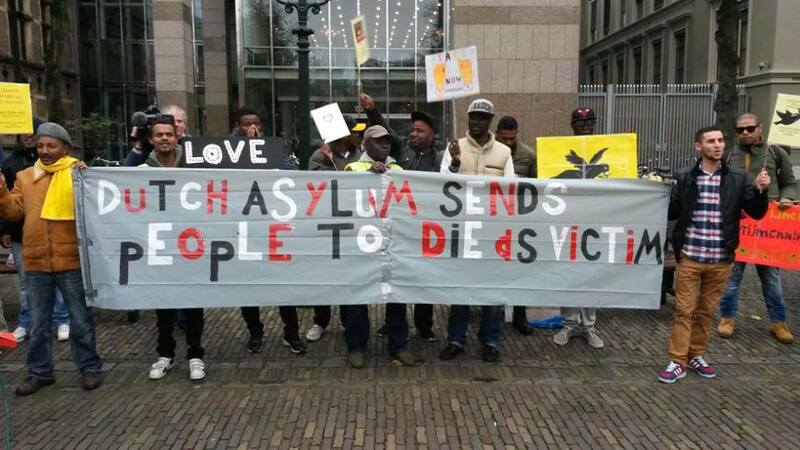 Refugees of WAH are demonstrating at the KLM office to protest his deportation. 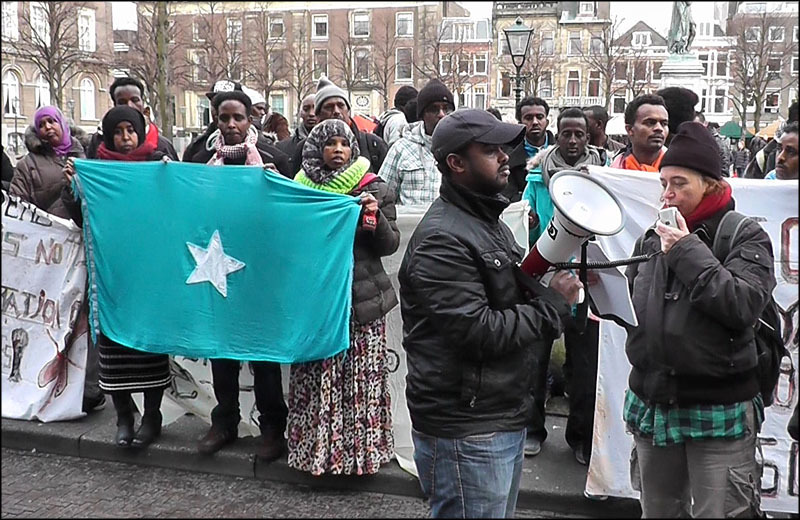 In 2013 and 2015 some demonstrations take place in Den Haag to protest the violence of the government against people from Darfur and any opposition. The brother of one of the We Are Here members dies under suspicious circumstances. Huthi militas and the coalition fighting them have transformed the beautiful country in a disaster of long lines of people waiting for bread or petrol, demolished houses, child-soldiers carying weapons. 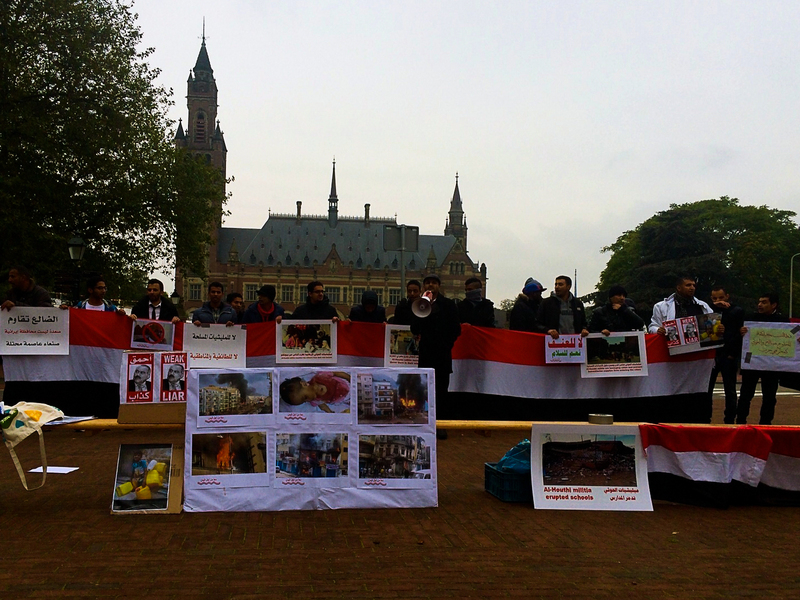 Refugees of WAH protest in front of the international court of justice and speak out in the media. For some people it is not easy to say from which country they are. For example from people who were born in Ethiopia, that became Eritrea, were deported to Ethiopia. No country accepts them as their citizen. Some examples of We Are Here woman in this situation can be found in the impressive documentation of Dokters van de Wereld. The same goes for people who lived in Sudan when they fled, but that is now suddenly called South-Sudan. Here is another example of a woman who has ‘traveled’ the world but has never been accepted anywhere. 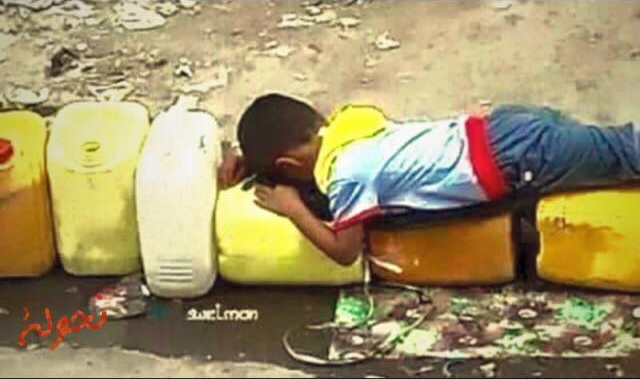 This story went viral in it’s Arabic version with over a milion hits and also appeared with Dutch subtitles.